Put the garlic and a ¼ cup of water in a small pan. Bring it to the boil. Gently simmer the garlic for 5 minutes to get rid of the raw taste. Drain and discard any of the cooking water. Blend the garlic and the remaining ingredients together (except for the tempeh), until they form a sauce. Put a small amount of sauce aside for dipping when you serve the satays. Keep the rest to use as a marinade. Slice the tempeh (on the shorter side), into 7 even rectangles. Then slice each rectangle in half lengthways, to make 14 thinner pieces. Carefully skewer each piece of tempeh and lay flat in a plastic container. Pour the rest of the sauce over the tempeh skewers and turn each skewer over, so that they are coated on both sides. Put them in the fridge and give them time to marinate for at least an hour. Cook the skewers on a medium heat, in a large non stick fry pan. Allow a couple of minutes on each side, until they are heated through and start to brown. Serving Suggestion: Serve with sticky rice, chopped cucumber and the dipping sauce. 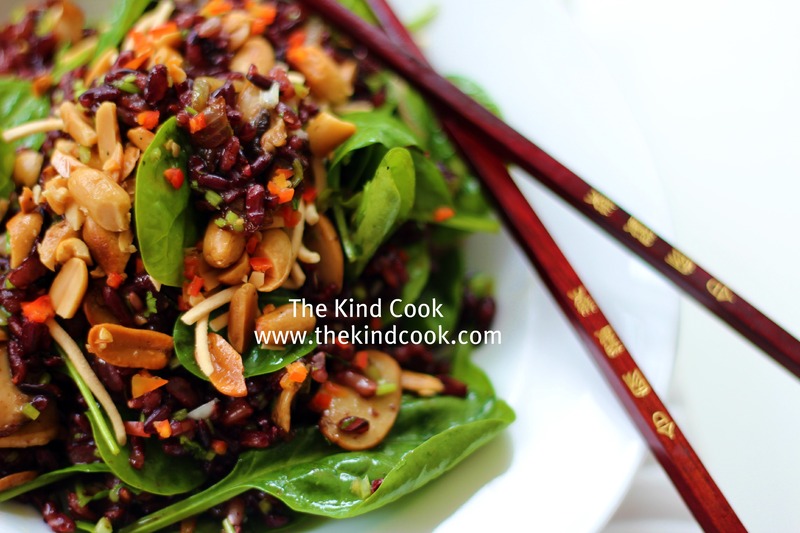 Garnish with crushed peanuts. Time: 20 mins preparation. 1 hour minimum to marinate. 10 minutes cooking time. Notes: For a smoky and fiery hot flavour, you can use 1 dried chilli instead of 2 fresh chillies. 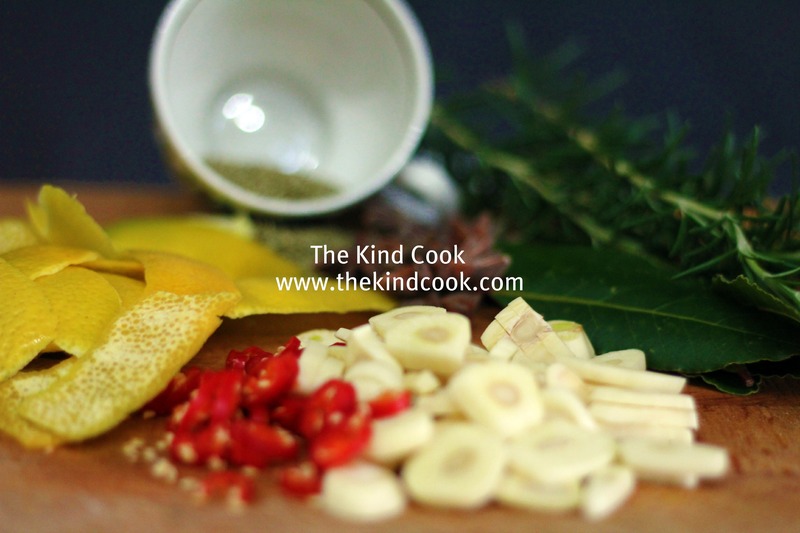 Just remove the seeds and soak the dried chilli in hot water before you blend it with the sauce. You can purchase tempeh and tamarind paste at select supermarkets and Asian grocers. 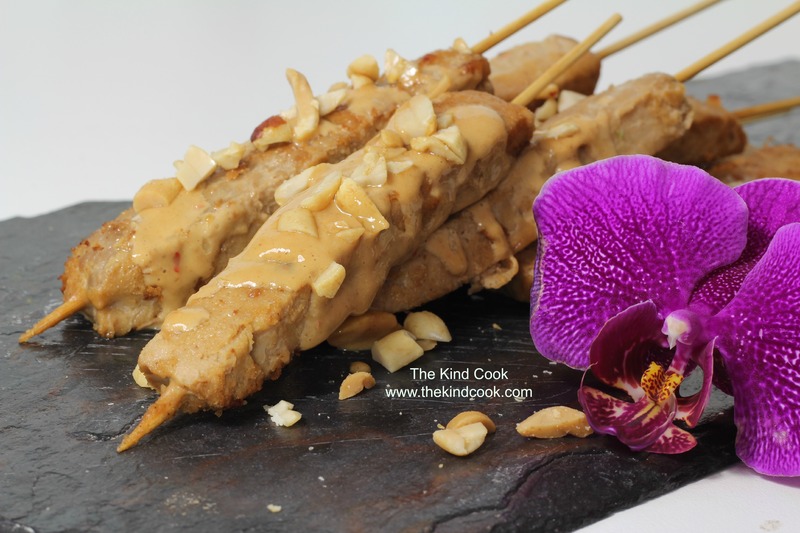 The consistency of the satay can vary depending on what brand of peanut butter you use. If it’s a little runny just add a little more peanut butter and if it’s a bit dry, simply add a little water. Place all the dry ingredients into a large pot over a medium heat and stir for a few minutes. Add a few tablespoons of oil, the orange rind, chillies and garlic and sauté for another minute or so. You are not trying to colour the garlic. You just want to apply enough heat and a minute to help the oils release. Add the olives and the olive oil and bring the oil almost to boil. Turn off the heat, let your olives cool then put them and the marinade into sterilised jars. Give as gifts and/or serve at BBQ’s and partys. Makes: Makes about 2kgs of marinated olives. Time: Haven’t timed this one.